The big news of this week came from Simon & Schuster (S&S), one of the big four publishing firms in the world (the Big Four) and a home to writers such as Stephen King, David McCullough, Ursula Hegi and Bob Woodward. Associated Press reported last Thursday that Simon & Schuster announced on a new environmental initiative and paper policy that will dramatically increase the amount of recycled fiber in the paper used to manufacture its books. 1. For books printed and bound in the U.S. - an incremental increase of the use of recycled fiber from its current 10% baseline level to a 25% or greater aggregate level by 2012. 2. Simon & Schuster will endeavor to have at least 10% of its paper Forest Stewardship Council (FSC) certified by 2012. 3. For books printed and bound in the United States, Simon & Schuster will endeavor to eliminate the use of paper that may contain fiber from endangered and old-growth forest areas. 4. By the end of 2007 and going forward, all Simon & Schuster shipping cartons will be made exclusively from 100% recycled post-consumer waste, subject to availability. Firstly, this is good news for the environment - S&S purchases approximately 70,000 tons of paper annually. So at current production levels, the shift to 25 percent recycled fiber will result in saving approximately 483,000 trees annually and reducing greenhouse gases by nearly 85 million pounds! This is also good news to all the book publishing industry because I believe this step will have further consequences. Such a step will certainly influence other publishers, especially the big ones that won't like to stay behind S&S. I am quite sure that the news from S&S gave the usage of recycled paper and other eco-friendly practices a much higher place than it used to have on the to-do list of many publishers. Simon & Schuster developed its policy and will implement it with the help of the Green Press Initiative, a nonprofit organization, which is currently one of the most significant forces that work to move the book industry toward working in an eco-friendlier manner. Now, I congratulate S&S for their big step, but I was wondering why it didn't go a little bit further and at least matched its goals with the Green Press Initiative's Industry Treatise. This treatise (Book Industry Treatise on Responsible Paper), already been adopted by more than 140 publishers. Especially I'm referring to the treatise goal of "shifting the book industry's collective average use of recycled fiber from an estimated 5% recycled average at present to a 30% recycled industry average by 2012. " S&S said it will move to 25% by 2012 (or greater aggregate, which is a bit vague). The difference of 5% might sounds marginal, but we're talking here about almost 100,000 trees a year! 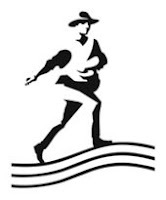 And just to remind you, we have already one of the Big Four that is committed to a goal of 30% recycled paper -Random House announced last year it will incrementally increase the recycled paper content of its books to 30% by 2010. I also hope to see Simon & Schuster going further and take responsibility for all the trees cut down to supply their paper that is not sourced out of recycled paper or certified forests (FSC). Even on 2012, it will total in more than 1.5 million trees a year! Eco-Libris will certainly be willing to help here. All in all, it's a great day for all the eco-conscious book lovers out there, and I look forward to reading more news from the book industry that will start like this : "Simon & Schuster, Inc., and its employees are committed to publishing in a manner that both respects the environment and helps to preserve the world’s great forest regions for the use and pleasure of future generations. " These measures seem a bit anemic. I've seen a couple other sites question that the S&S move is greenwashing, e.g., Environmental Paper Boy (http://tinyurl.com/2skefa) and Sustainable is Good (http://tinyurl.com/2w8qba).